Oscoda's Owen Franklin made 4 consecutive three's to give the Owls the lead over Rogers City in the third quarter. 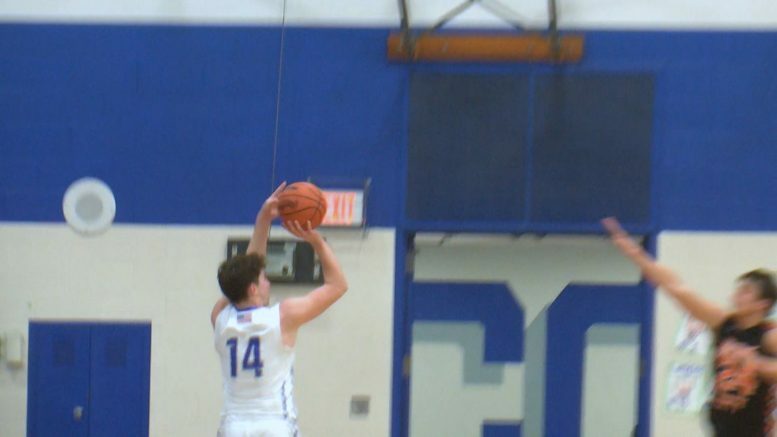 OSCODA, MI — The Owls boys basketball team’s perfect run continued as the Owls took down Rogers City 63 to 45. They are now 12-0 on the season and sit alone on top of the North Star League’s Big Dipper. The Owls play again on Friday against Posen (6-4, 4-2 conference) as the leaders of the Big Dipper and the Little Dipper face off.